Guitar For Beginners Lessons - Guitar Anatomy. Free Guitar For Beginners Lessons! There are many different styles of guitars but they either an electric guitar or an acoustic guitar. 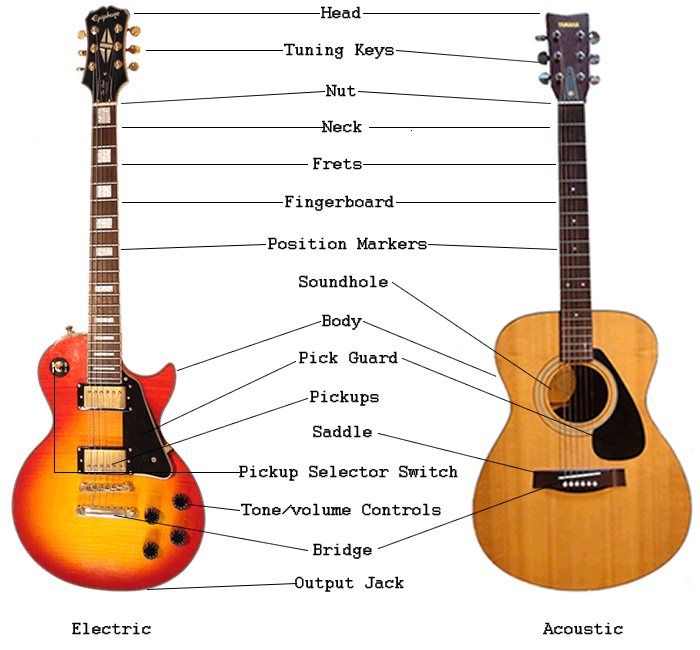 Your guitar may be a little different then the ones shown below but the same layout should still apply. Get to know your guitar and learn to play guitar with this free guitar lesson.